If there are any places befitting of being described as heaven on earth, then the Maldives definitely deserve to be among those places. Its immense beauty, the natural breath-taking views and the feeling of solitude combine to create an experience that is explicitly unique and unfound elsewhere in the world. It is a perfect spot to vacation and spend some quality time with your loved ones. 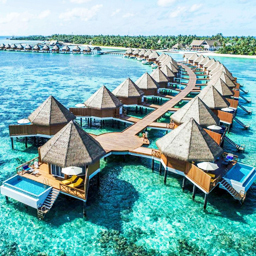 At this point, you probably very well know that the Maldives is an advanced stretch of about a thousand islands, what is normally called an archipelago, in the middle of the Indian Ocean located India and Sri Lanka. The sovereign state is the smallest country by size in Asia with Male as its capital city which also happens to be the center of the archipelago. It is the world’s most geographically dispersed country and currently is home to over four hundred thousand people. It is a perfect spot to vacation and spend some quality time with your loved ones. Over the years, it has turned into a mesmerizing honeymooning spot for couples. Many people from across the globe plan their visits to this country in order to enjoy its lovely palm trees, crystal clear water, loads of sunshine and its attractive sandy beaches. And, not to miss, the vibrant culture and hospitable population which is bound to impress you. Rest assured, it is a remarkable tourism spot, one that you will not want to miss for the world. 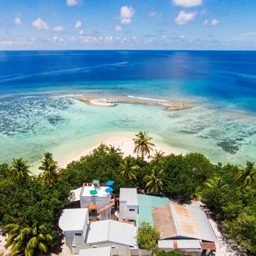 If you are looking for day trips and in search for some peace and quiet, then you should head to Mahibadhoo for it is the place where all day plans begin. People travel from here to other serene islands nearby to spend some quiet time with their partners. These islands include Isdhoo, Dhanbidhoo and a few others. Moreover, Mahibadhoo has beautiful beaches as well which you can visit and enjoy a leisurely stroll on. It is not exactly what the locals refer to as a beach for foreigners but still worth a visit. There is a good opportunity to try out some snorkeling there as well. The water is clean as anything particularly because the locals volunteer to clean the island once a week. 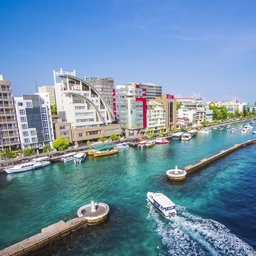 It is the capital of Maldives and a city that is worth exploring when in the Maldives. It is home to a lot of history of the country and hence has a number of amazing museums mark this city. You can learn a lot about the past of this wonderful people by visiting these museums. Furthermore, this small city is home to a very old mosque which dates back to 1656, it is called the Old Friday Mosque. You should also check out Sultan’s Park and the National Arts Gallery. 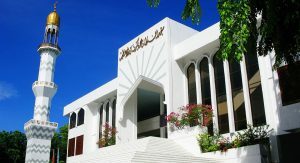 There are plenty of eating options in the Maldives and especially in the capital city of Male. If you are one who likes to try out new foods and develop taste, then this city is for you. It is home to all major local dishes and cuisine which you will utterly enjoy, to say the least. 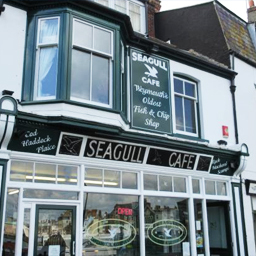 There are a number of different restaurants and eating places which you can try which include Royal Garden Café, The Seagull Café, and Irudhashu Hotaa. The restaurants in the city are eye-catching and offer outdoor seating arrangements as well. They are located to accommodate beauty, ambiance and some refreshing and scrumptious food. If you are a big fan or just a newbie, you have to go diving in the Banana Reef in the Maldives. It is an opportunity of a lifetime and people who have done it will tell you that it is something that you just cannot afford to miss. 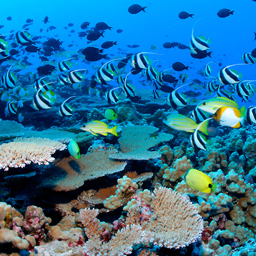 The Banana Reef is a protected marine area and globally recognized as a superb diving area. The area is full of wonderful marine life and you will be able to see these beautiful creatures like never before. Snorkeling or diving in the vicinity of the reef gives you ample opportunity to grab some awesome pictures to share with family and friends. The growth of coral reef underneath is a scene of much attraction and is basically what attracts most of the sea life present there. Watersports are a major attraction for tourists. Watersports are a major attraction for tourists and locals alike and makes for an unforgettable vacations’ memory. 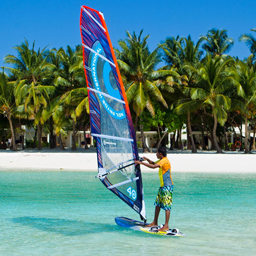 The uncountable islands and ample sea make for tons of sporting opportunity all throughout the Maldives. You can water ski or go parasailing and what not. So, if you want to experience adventurous and enjoyable water sports then the Maldives delivers exactly that. This archipelago of islands will give you the much-needed chance of experiencing quality water-based activity especially if you are from a place that isn’t known for its water sports. 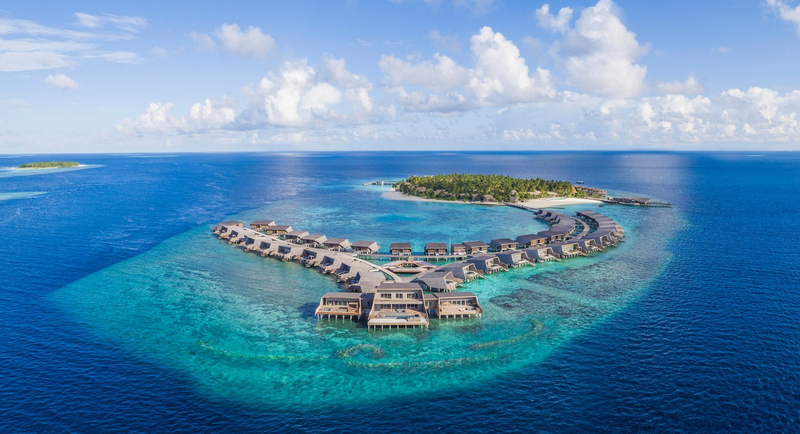 There are no hotels in the Maldives as such rather you will have to book, what is called, resorts which start at under 1000 MVR and can rise as high as several thousand depending on the facilities that you need. 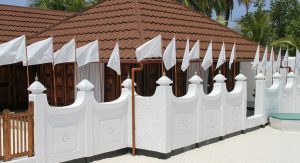 You can also find guesthouses that the locals are offering which are much cheaper than the resorts, but they are not as fancy. 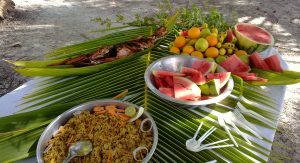 Food in the Maldives isn’t expensive. If you are staying at a resort then they will handle your meals and drinks for you, however, if you are elsewhere food can cost anywhere between 90 to 350 MVR depending on how fancy a place you want to eat in. As for transportation, you will mainly depend on the ferries which take you around different Islands. Each ferry has a specific route which you can ask about from the locals or let your resort staff guide you. Nonetheless, it easy to get around and definitely not expensive.